Maybe there's more somewhere else? One of my recurring themes/annoying repeated trumpetings (depending on your perspective) has been that the biggest mistake most people make is to assume things are either simple or, at least, to assume that they are simpler than they actually are. This is most likely a result of the fact that things are bigger than we are capable of understanding, but another post on that later. Did you ever stop to think about certain cliches -- the ones we sort of take for granted as "wise"? 1) Never judge a book by its cover. What if the cover has a picture of two armadillos in mid-copulation eblazoned upon it? Would you let your kids read it? Sure, I get it -- what's inside might be wise, profound and touching, but there is probably a reason for the lustful armadillos. Sure, the cover doesn't tell the whole story -- a fellow with a brow that is sloped like a Camelback triple-diamond run might be brilliant. He might. 2) The early bird gets the worm. Not necessarily, my friends. Did you ever try to stop in at the doctor's to get an early morning, fasting blood-draw? The place is packed with birds and it takes, like, an hour and a half to even see the worm. Perhaps we should revise: "The bird who accidentally finds that magical time between 2:45 and 3:27 PM could possibly get the worm, unless there is some Jungian collective-consciousness accident and everyone in a six-mile radius decides, 'Hey! I think I will go get my blood drawn now!'" Sure, it loses some of its terse poeticism, but what the heck. Veritas, rules. 3) Necessity is the mother of invention. Sometimes, the need for cash is the mother of invention. Or the threat of imprisonment. Or boredom. 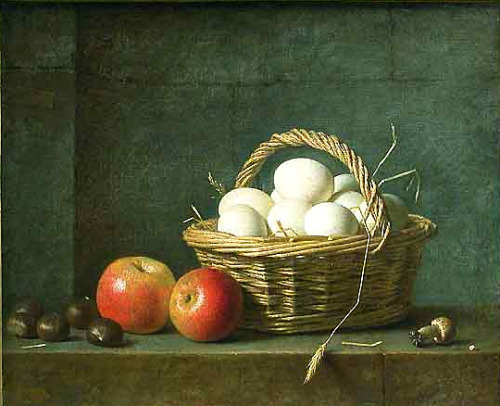 4) Don't put all of your eggs in one basket. What if one happens to be too poor to buy a second basket? What is one supposed to do -- just leave the eggs in the coop? Poppycock. And what if you have a basket with an anti-gravity field that suspends and isolates eggs and protects them against an impact equivalent to that of a NASA capsule splashing down in the Pacific? 5) A bird in the hand is worth two in the bush. Not if the two in the bush are slow-roasted to a golden brown and served with a side of cheddar mashed potatoes and a cold pint of barley goodness. 6) Nothing ventured, nothing gained. I once found fifty-dollar bill. Blew right up against my sneaker as I was standing on a bus stop. 7) You have to break a few eggs to make an omelet. A note for those of you who think this is an invitation to be social and professional bulldozers: With an egg, you're pretty much guaranteed something good is going to come out when you break it, so the decision is easy. And afterwards, you have to work on building up the benefit -- stir it up, put in cheese and veggies and take it off the heat when it is done. Then, of course, it is also nice to share with others. 8) Every cloud has a silver lining. That's freaking stupid. I could name a few dung-filled cumuli in my past weather patterns and so can you. 9) You make your bed, you lie in it. Really? I've seen a lot of people make the bed and then sleep on the couch. 10) Curiosity killed the cat. Maybe, but it also caused penicillin to be discovered. 11) Practice makes perfect. Nope. Not that simple. Bad practice makes worse. Bad practice makes bad habits more embedded in our performance. Good practice makes better. Better practice makes even better. Perfect practice makes perfect, but there is no such thing, cutesy alliteration notwithstanding. Well, I guess that's enough for now. Someday, another installment. Because I'm a firm believer that one should never do today what one could put off until he remembers he meant to do it sooner and then slaps himself on the forehead.